I send out the biggest apology to everyone I usually follow for my absence. Last week was a rush to get myself organised for my return to university and then the past three days were spent settling back in. Guess who's just started their second trimester at Deakin?! This chick! Right here! I love being back on res, constantly socialising and learning things. My new timetable is pretty similar to the last trimester: one writing unit (Writing Spaces), one philosophy unit (World Religions), one journalism unit (Contemporary Journalism B), and one elective (Texts and Images). Still a measly nine contact hours, still only three days a week with classes. I've decided I need something to occupy myself in all that free time aside from just writing, because I'd also like a little bit of income, so the part-time job-hunt has begun and I've already had one rejection. Yay! As well as getting to see all of my friends from the last trimester, both on res and in classes, the new timetable means that I'm meeting new people too, especially in my tutorials and at all of the welcome-back-to-res events. The thing I love about meeting new people, as a writer, is finding particular traits, characteristics and unique details that I could use in my own characters. For example, I was sitting with a group of friends at the campus bar after class yesterday and started talking to someone I'd met before, but never actually befriended. I was impressed to find out that he lives on a farm, where he grew up... not just any farm, but a rose farm. It's a place I'd never considered putting a character, a detail I'd never thought to give one, but I found the idea intriguing and potentially symbolic, although perhaps a little cliche once the symbolism starts coming into it. I have one class to go to later this afternoon before I can say it's the weekend. I wonder if I'll meet anyone else I can make friends with and then quietly pull apart to find a potential character. On another note, I received an email offering me a free one-month premium account on grammarly.com, which is an online word-processor. I've been asked to review the programme. Has anybody else ever met someone and thought that a certain aspect of them could be used as a part of a character, in your own story? Does anybody here use Grammarly or another online word-processor? I watched a couple of movies last night for the fun of it and noticed some similarities and other little things that I thought would make for a good blog post. 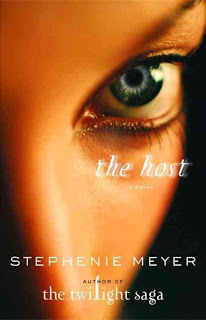 Since reading the Twilight Saga by Stephanie Meyer, I've always meant to read her book The Host, which I've been told is much better. It's on my to-do list, but last night I found myself watching the newly released film adaption. There were several points where I sat there thinking, I'll bet this scene was SO much better in the book. Nonetheless, I really enjoyed it! Afterwards, I decided I wasn't sleepy enough for bed, so I watched Warm Bodies too. I'll warn readers now that this post may contain spoilers. Overall, there are no HUGE similarities, but aside from both being post-apocalyptic, I couldn't help thinking that there was an underlying theme that they shared: the acceptance and co-existence of species that are different and formerly considered enemies and the ability for the 'bad' species to change and become good. 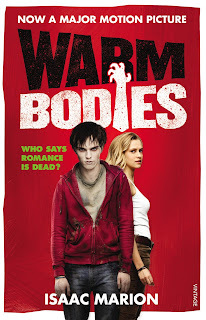 In Warm Bodies, the theme is shown through the zombie R's ability to save a human girl, Julie, from the pack he was hunting with and try to keep her safe. Although he ate her boyfriend's brain, Julie eventually forgave him and even missed him when she returned to the other uninfected humans her father had built a wall to protect. When R showed up inside the walls, wanting to prove to her that he loved her, Julie was amazing to see that he and the other zombies were coming back to life because of whatever she'd triggered inside him. Julie's father took some convincing, but when he realised that R could bleed (zombies can't bleed), he told the other humans that there'd been a change in circumstances and welcomed R and the other zombies-coming-back-to-life into the city. They ended up working together to kill the skeletons who were trying to kill them all, which was apparently a good bonding activity. I thought this similarity was cool. But that might just be me. 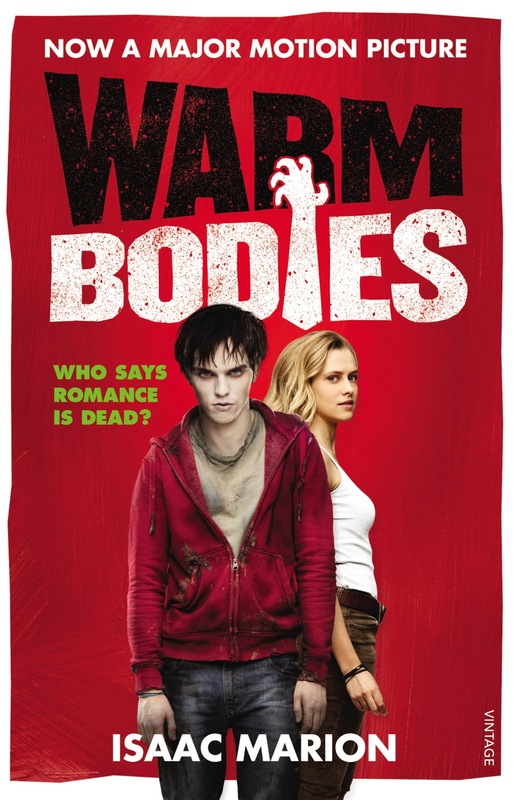 I've also just found out that Warm Bodies is a book, written by Isaac Marion. I must had this to my to-read list. Who else has seen 'The Host' and 'Warm Bodies'? What is your opinion on the books, if you've read them? Do you prefer aliens or zombies? And would you rather a zombie apocalypse or an alien invasion of planet earth and your body? For the past six days, I have challenged myself to write 1,000 words a day on my W.I.P WALLS, including writing 3,000 words in one day because I wasn't going to have computer access for two days after that and didn't want to fall behind. I feel really good about this challenge and so far I've been successful. I want to keep it up at least until I start classes again in eleven days. As well as writing 6,000 words on my W.I.P, my creative juices have gotten very active and the plot-bunnies are started breeding like, well, plot-bunnies. After the 3,000 word streak, I went to bed early and then lay there for four hours making the plot better and I FINALLY HAVE AN ENDING! I mentioned in a post back in January that I'd started writing the manuscript because I'd planned every chapter I could and was spending too long trying to think of an ending that just wasn't coming to me and decided that starting to write might help me decide how to wrap things up. I am very pleased to say that it has. So I'm very excited to keep writing WALLS and hope to have it finished by the end of my next semester of university in early October. Most of all, I want to have it finished in time to plan another story so that I can finally participate in NaNoWriMo this year. How is everybody else going on their W.I.P, manuscript, revisions, etc?